The revolting and fascinating book is packed to the brim with disgusting, gross, and repulsive things sure to appeal to readers of all ages. The content is divided into a range of categories, from offensive animals, plants, and other creatures to foods, inventions, and of course, a selection of revolting human body bits such as snot, scabs, and earwax. 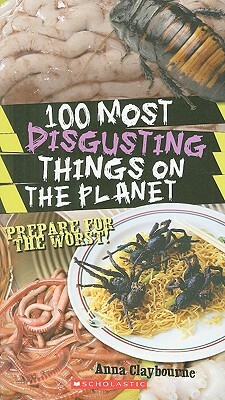 Each page has a Yuck Factor rating and description, along with photos and illustrations. Sidebars include extra gross details and tips.